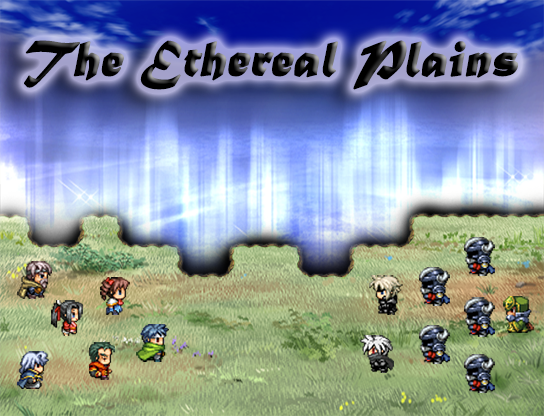 Completed work on what I feel will be the final title screen for The Ethereal Plains. Character sprites may still change as game development progresses. While not much has been done visually with the game so far, I have added some new items to the game engine itself. More importantly however, I have accomplished a lot in the story and character departments. I am almost finished fleshing out the characters and their back-stories, after which I will be going in to more detail on the story itself. I have a general overview of it complete, but that will only serve in public postings about it. After spending weeks combing forums for scripts to use with my game, I believe I have all of the ones I will ever need for my game. Otherwise this is just an early demonstration of the game “engine” itself, so many things are not yet polished and finalized in these initial areas. My present project within the Source Engine: a yet untitled downtown scene, very loosely inspired by the Milwaukee downtown-area. 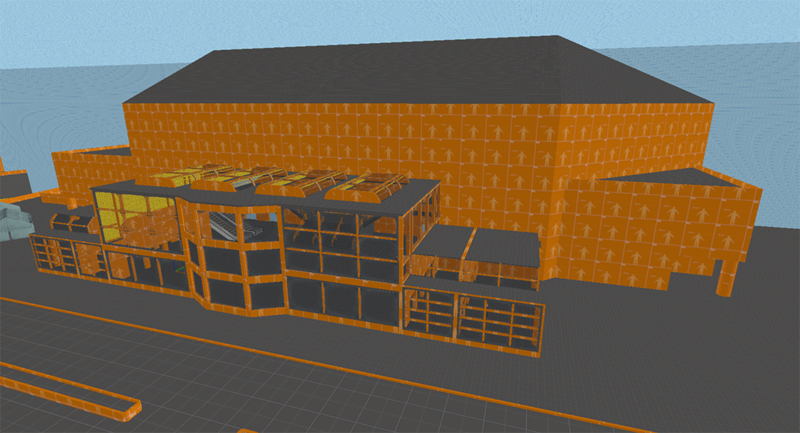 The only textured part of this map so far is the parking garage. Partially because it is the only part of the modeling that is complete. The rest is still covered in developers textures as there is still re-sizing going on, so all textures would need to be adjusted anyway. Bearing a bit if resemblance to the Bradley Center exterior is the arena portion of the map. 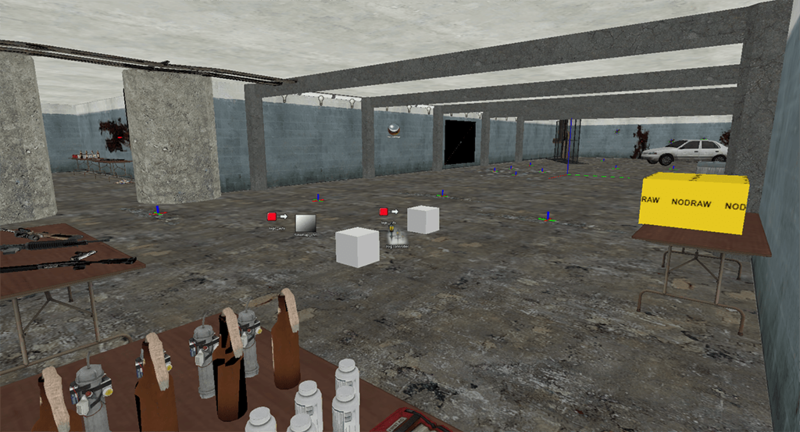 My original plan was to have the player go through the front entry-way (but never actually enter the arena itself as this would require a large amount of modeling for an area I never intended to have the player enter).